Chic Hostel Bangkok, the newest style of hostel with the first comfortable hostel from the idea of dormitory accommodation and a range of facilities on 3 Star Hotels, which combined the experts for hostel management to make Chic Hostel became the best hostel in same range. 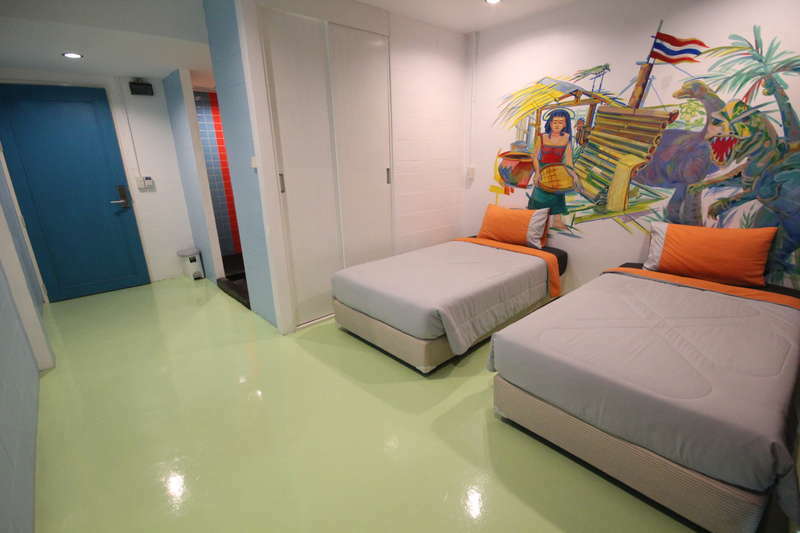 Chic Hostel Bangkok Style and Decoration are created by a professional designer. We have provided 6 room types with 183 beds on over 3,000 sqm. by colorful Thai Modern style and the famous unique arts that make Chic Hostel outstanding from other hostels. Not only our service but we also fulfill the imagination by decorating our hostel with the mural of Thai well known artist, A.Viroj Klommanop, to tell the story of Thailand. You will have the great impression of our memorable life, history, wisdom and festival through the aesthetic mural arts. With our unique concept, facilities support (more than 3 stars hotel) and the professional service, they make us became an extraordinary hostel with the impress memory for our residents. We are very near with main train station and main subway just only 5 mins by walk and just only 10 mins by walk to Chinatown as well. You can walk 15 mins to the pier if you want to go to grand palace or flower market. If cancelled or modified up to 1 day before date of arrival, 30 percent of the total price of the reservation will be charged. If cancelled or modified later or in case of no-show, 70 percent of the total price of the reservation will be charged. Minimum age of guests is: 18 year(s).Extra beds are dependent on the room you choose, please check the individual room policy for more details.